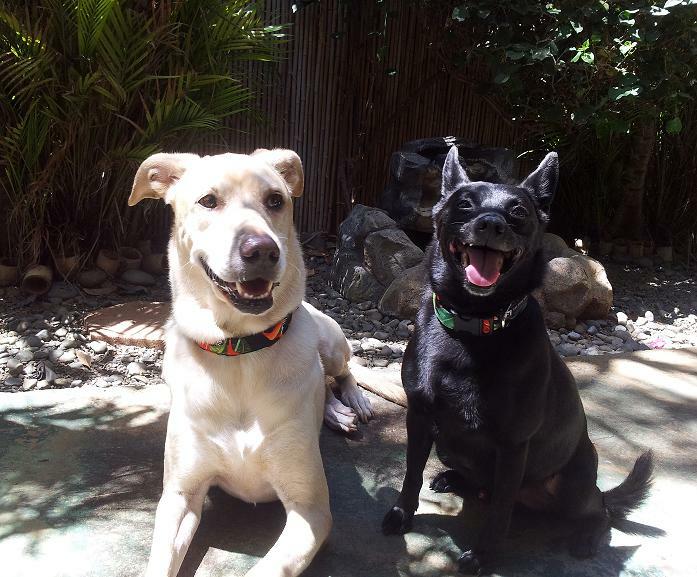 NALU & MAKUA WEAR "PARADISE" COLLARS! 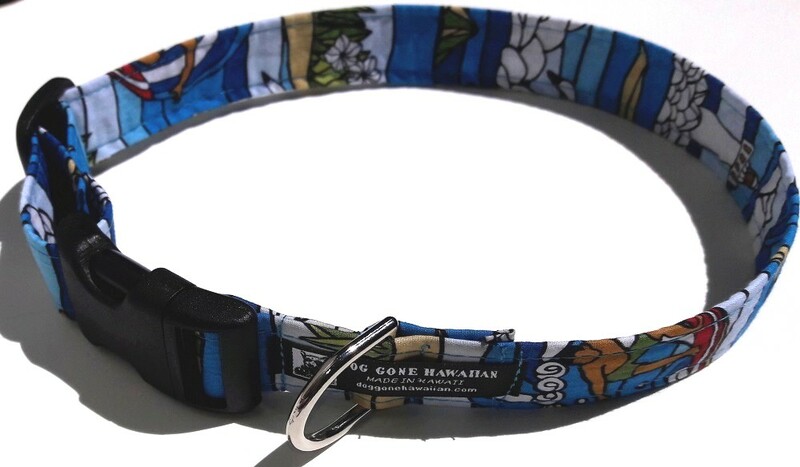 All of these collars and leads are handcrafted in HAWAII, U.S.A. by Lori and Tom--using the highest quality materials. 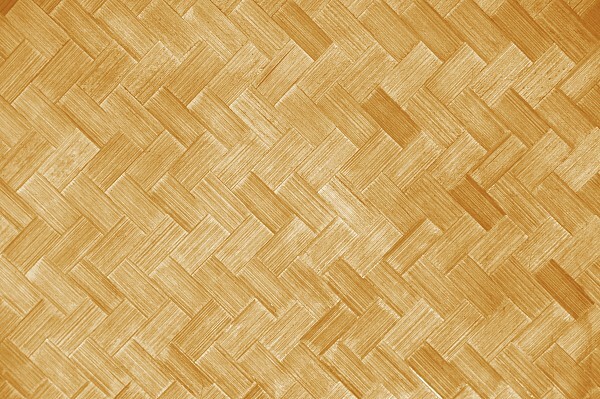 The hand-selected cotton fabric cover helps keep pet fur from matting and provides a unique Hawaiian touch. The high-tensile strength webbing forms a strong inner core for both the collars and leads. The heavy-duty curved buckles and slide make the collars fully adjustable and more contoured for your dog's comfort. The thick, Solid-Weld Nickel Plated metal D-rings on the collars and heavy-duty bolt snap-locks on the leads ensure a secure collar-lead connection. stain remover (such as Spray 'n Wash®), hand or machine wash in cold water, and line or machine dry (we prefer you take it off your dog prior to machine washing or drying). You can keep items clean between washings by treating them with a fabric protector (such as ScotchgardTM). We can custom make just about any size length and width combinations for both collars and leashes, based on your personal requirements (for an additional cost)--contact us directly by email with your specifications and we'll provide you a quote. These are limited edition patterns--SO DON'T WAIT!! Some styles may not be available in all sizes. Each item is hand-made, so no two collars or leashes are exactly the same--ONE of the nice things about them! Returns for special order items will not be accepted unless it was our mistake. For other Returns/Exchanges, see our Policies Page. Our NEW LIMITED EDITION Hero's Collection is a tribute to our troops.....while multiple Uniformed Services are represented in each fabric cut; when ordering, select the Branch of Service you'd like featured and we'll try to have it as the prominent item in the cut.....and MAHALO for your service!